We received our first delivery of bullion coins on Friday 7th November, 2014. 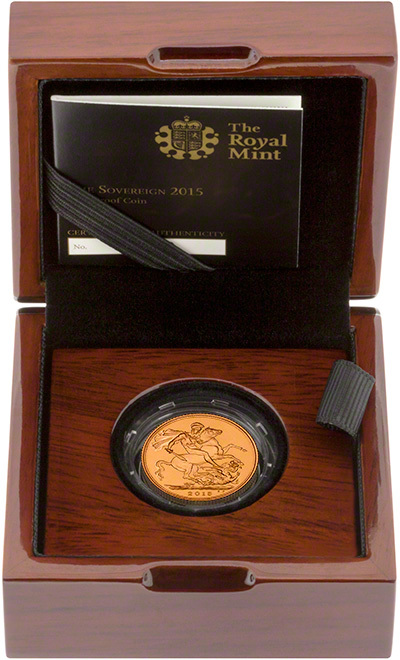 We have always been able to offer the proof sovereign at significant discount to The Royal Mint (and many of our competitors) as we are happy to pass any trade discount on to our customers. 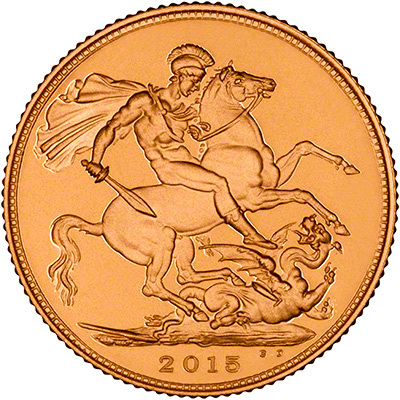 In recent years the trade discount has been reduced and The Royal Mint's selling terms are becoming more and more one-sided. 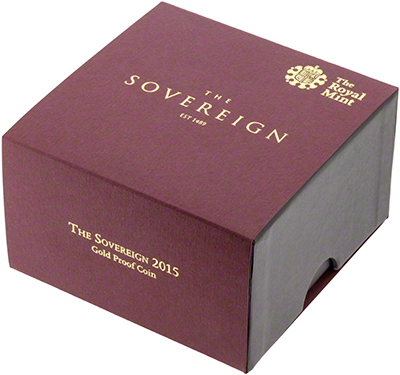 We received our 2015 proof sovereigns on 27th November. For the first time in over 100 years, there are two designs for the 2015 sovereign. The early coins feature the current portrait, by Ian Rank-Broadley, on the obverse, whilst coins produced after 2nd March, 2015 feature a brand new portrait designed by Royal Mint engraver Jody Clark. 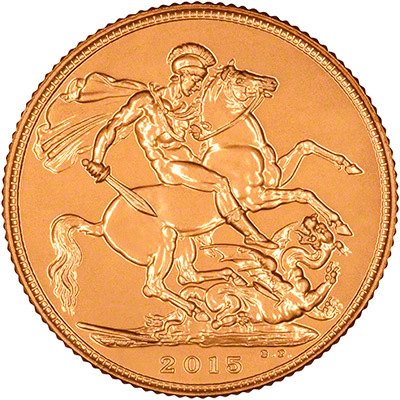 The new fifth portrait sovereign is available here. 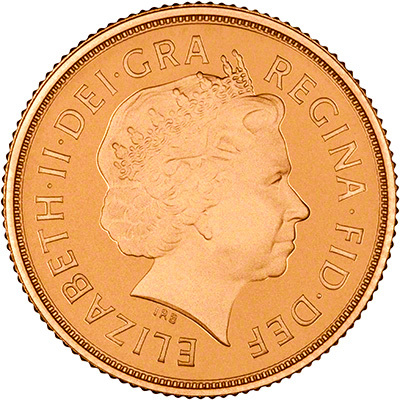 Not only can we guarantee that our prices for both the proof and bullion coins will be cheaper than The Royal Mint's but buying from us you also get the benefit of buying from expert professional numismatists who have been in the business for nearly 50 years. While we appreciate the Royal Mint have existed for longer, we know more about sovereigns and half sovereigns than they do! The sovereigns were delivered to us in tubes of 25 coins, rather than sealed sheets. If you order multiples of 25, we will send them in The Royal Mint tubes. If you would like a box for your coin we can supply these at an additional £2. These can be added at checkout. We do not know the issue limit for the bullion or the proof coins yet. Last year the proof coin's mintage limit was 7,500 coins. 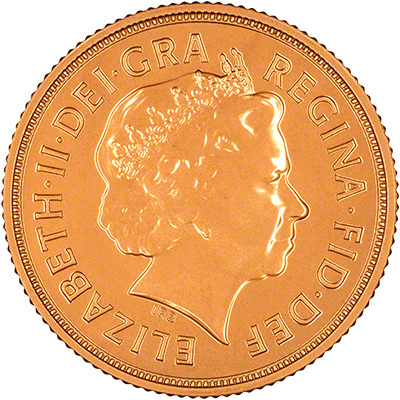 We still believe that older proof sovereigns represent much better value, but obviously many collectors prefer to have one of each date or the date 2014 may be of importance for births, birthdays, or other celebrations.